Wow, you just found out that you are expecting. A wonderful time is ahead of you and all that you can think of is how great it will be. It is an amazing time but in a while, you even come to the point when your normal jeans don’t fit aka 3 months on and you trying to adjust your wardrobe. 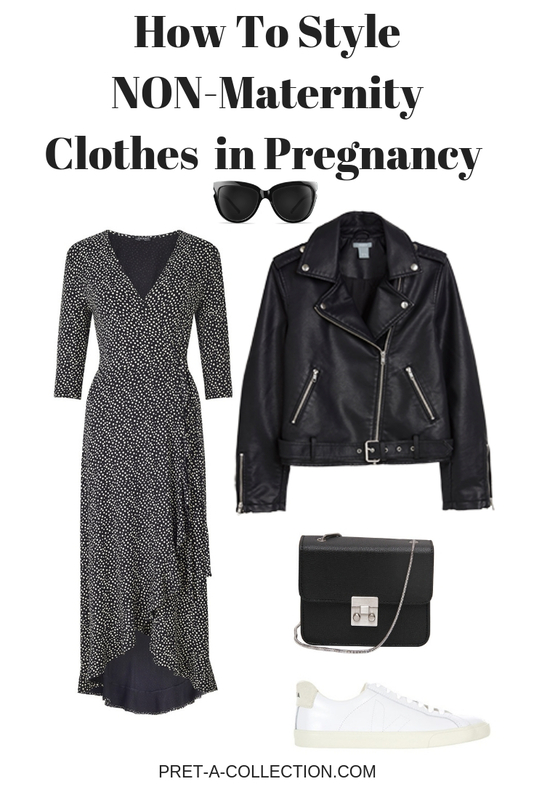 Of course, you don’t want to spend a fortune on whole new maternity wardrobe, it doesn’t last that long, pregnancy is only for 9 months and 3 are already past. So let’s think about something more rewarding and lasting. 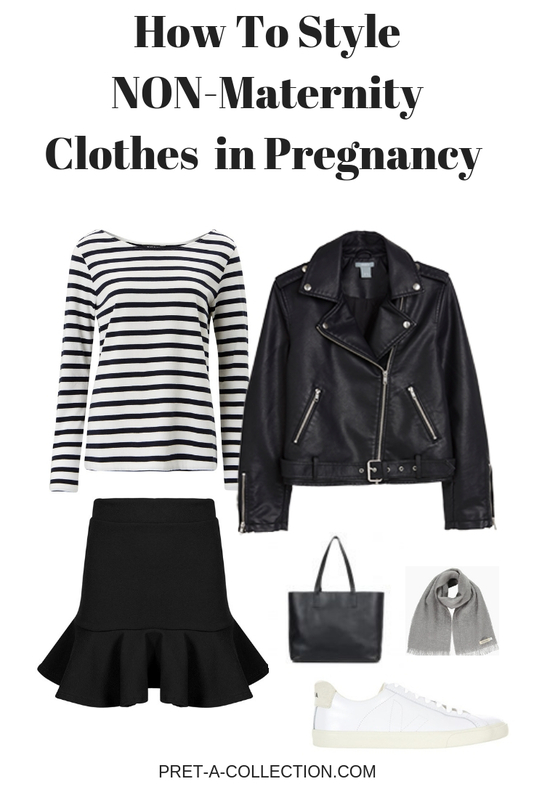 Style your Non-Maternity clothes during the pregnancy. 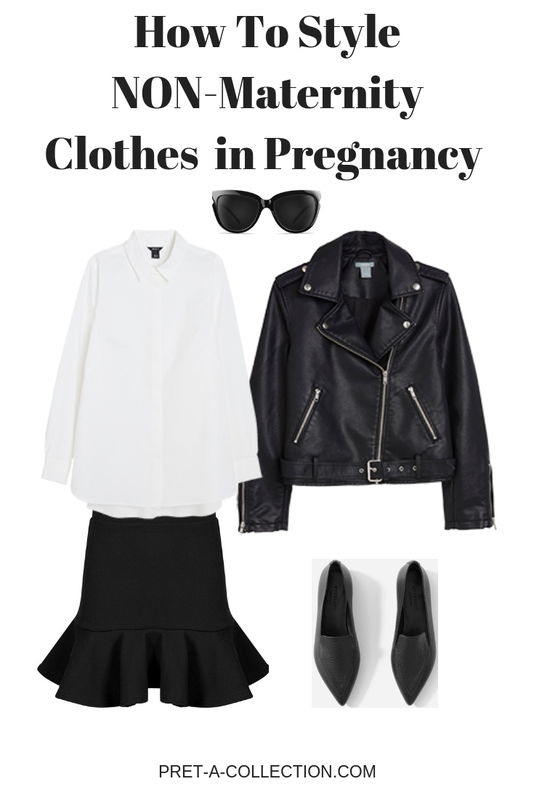 During my both pregnancies I bought the only opair of black maternity jeans. 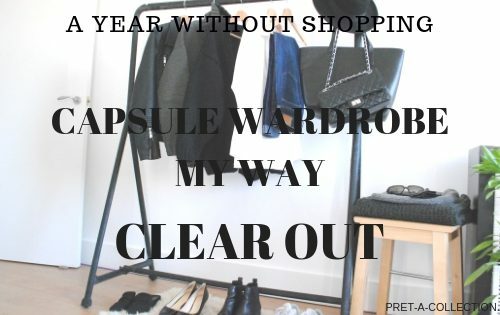 For me, it was a waste of money and pointless to clutter my wardrobe with items what is needed only for a few months. So I decided to go an extra mile with my everyday wardrobe. 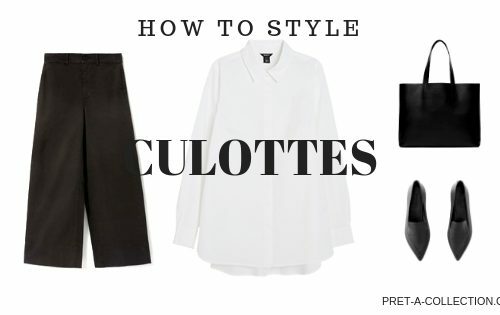 If you need to buy something go for a wrap dress, wrap top or nice loose A-line top. All of this works really well with the bump but even for a postpartum. Oh yes, ladies, there is still a bump even a few months after giving birth, so don’t trust beautiful images on Instagram with perfect abs just 4 weeks after. Unfortunately, it doesn’t work that way. But great basics will definitely help and lasts that long days after even longer sleepless nights. Long vests – are a perfect layering piece of clothing, but you can wear them on its own in the summer. I found the tighter worked better for me, I felt it gives me some support on my back and holds the bump ( no it wasn’t falling off). If you don’t like to wear a long vest as part of your daily uniform go for a bigger size, afterwards you can wear it as a stylish loose fit. Loose basic t-shirts/tops, wrap tops – all of them are great before, during and after pregnancy. Stylish and hide a lot. Wrap dress – Same as with the tops. Look chic, and they grow with the bump, just getting shorter so make sure you get them at least in a knee length. Longer better. Wear them in the summer on its own and with the extra top in winter. 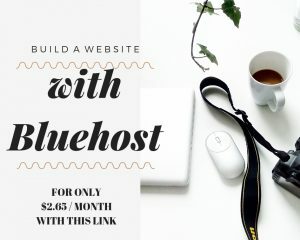 Cardigan/Sweater – if you like them you won it if don’t get a loose fit sweater. They stretch nicely and after wash, they get back to its normal shape. Skirts – wear stretched one or with a rubber band on the waist. I wore my skirt all the time during the pregnancy and a few years after as well. Get a black one will match all your tops. Outerwear – if you not going to invest in a maternity coat, get an oversize one or just simply wear it unbuttoned with a long thick scarf. 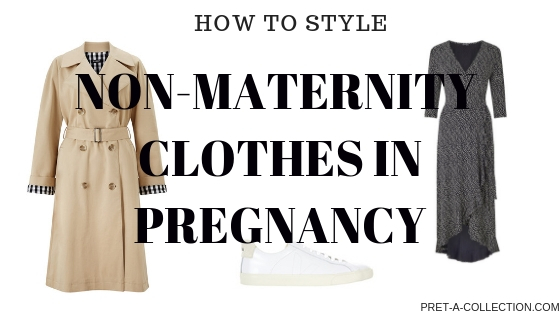 Will you buy a brand new maternity closet for a few months or will you try to go a long-lasting way and stretch your daily uniform to the maximum? Let me know in the comments.